Sonam Kapoor is very experimenting when it comes to fashion and makeup looks and she carries every look with perfection be it a simple travelling look, she rocks everything she wears. 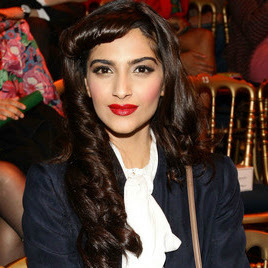 Coming to her hairstyle, Sonam is the only actress who have experimented so much with her hairstyle. She’s always seen sporting different hairstyle on every event. She has always polished her hairstyles to perfection. She carries all her looks with confidence. You have got to check the look on her face when she is walking the ramp or appearing on an event. Here’s Sonam during the promotion of her movie “Raanjhnaa.” She is looking gorgeous in this messy hairstyle. Sonam is looking lovely in this updo paired with a saree during the Filmfare event. Sonam Kapoor at launch of Kingfisher Calendar Girl Hunt with sleek middle parting. No one can carry this look as stylishly as Sonam carried. Sonam during the Cannes Film Festival. Even though all the focus is on her face but her hairstyle is adding more “oomph” in her personality..
Sonam during a press conference. This is one of my favourite looks. Her hairs are looking super soft and chic in this hairstyle. Sonam at “Bhaag Milkha Bhaag” movie promo. She is looking lovely here in a curly updo. Seen in rolled up bangs. 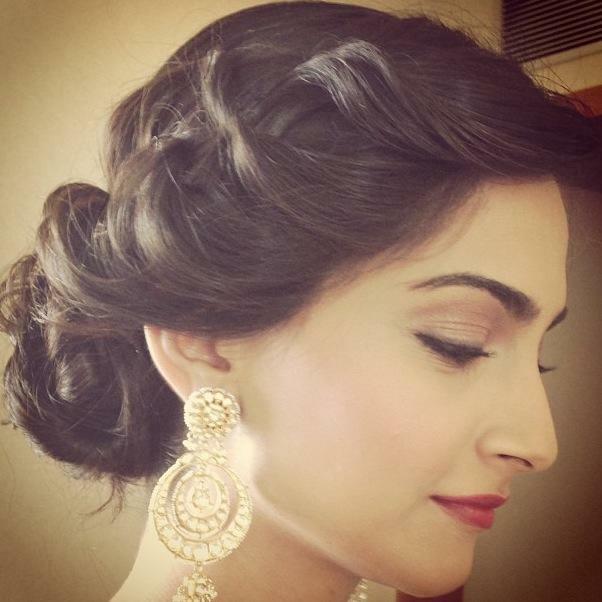 Sonam looking stunning in a very neatly done updo. Sonam is looking outstanding in this messy updo paired with a stylish headband. 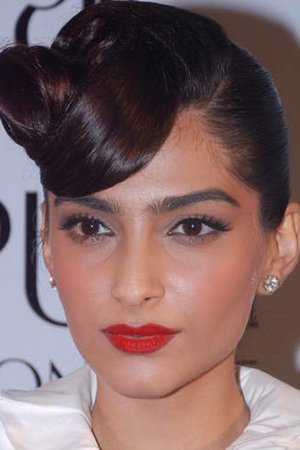 Here’s some more pics of Sonam’s hairstyles which also a deserves a space on this list. That’s all I have in this list. If you feel I have missed some other deserving hairstyle of Sonam Kapoor in this list, tell me down in the comments…..